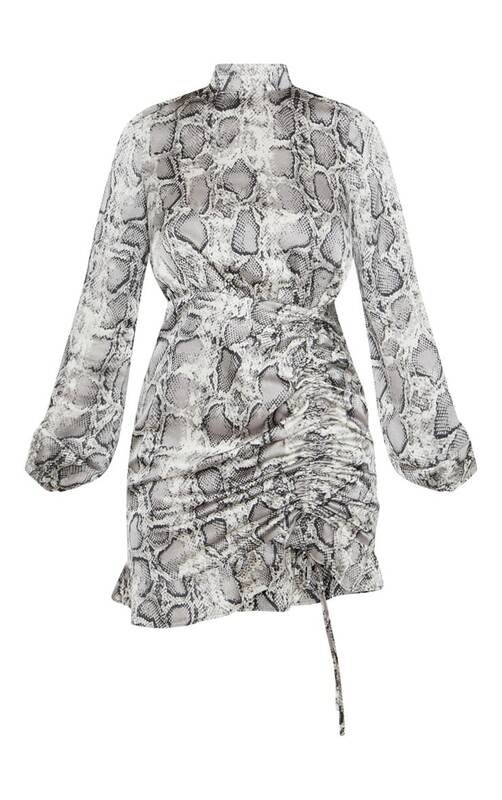 Update your weekend wardrobe with some prints this season with this dress. 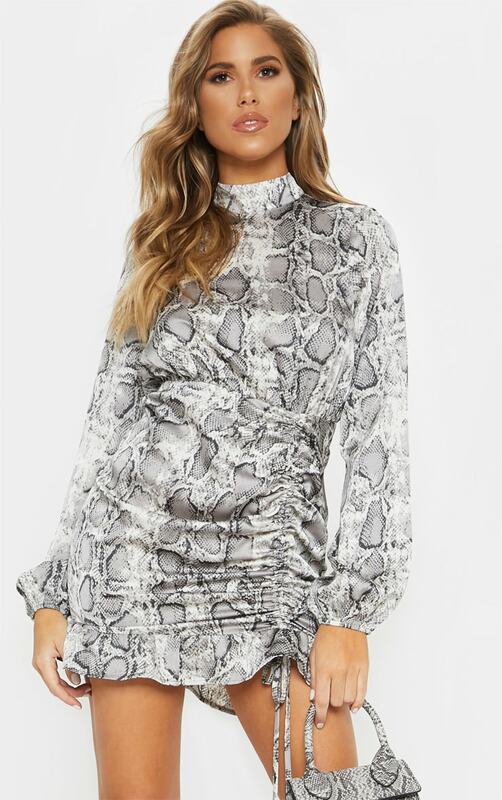 Featuring a snake satin material with a high neck and ruched detailing. Team this with sky-high heels and a clutch for a dinner to drinks look.